The cure for uncooperative software. Integrate Infusionsoft with over 100 apps (and counting…). 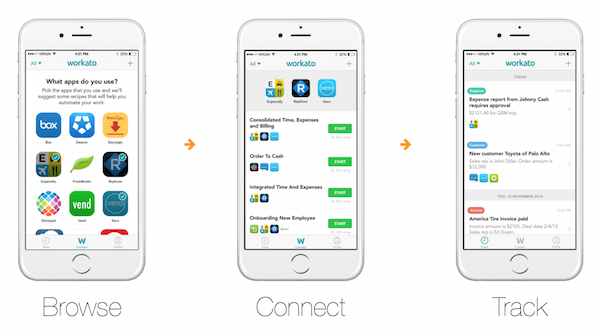 Workato allows over 100 applications to communicate with Infusionsoft, finally unlocking a two-way sync between your sales and marketing automation and the rest of your business. Need to make complex integrations where one app triggers multiple actions in multiple apps, with multiple criteria? Easy. With Workato. Create exceptions and rules for errors, so you can be sure that your integrations never miss a step. With Workato’s Mobile-First architecture, you can truly unshackle yourself from your desk and still run your business. Q: Do I need workato in my business?